Giant Body Bits Game Hire. Book to hire your Giant Body Bits Game Today! 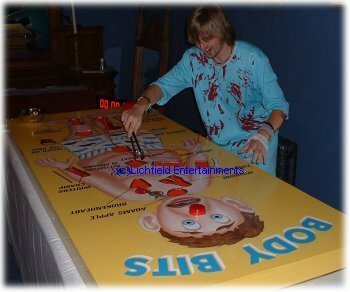 Great medical themed fun for ages 10 - adult. Ideal for corporate events and promotions, parties, receptions, and general evening entertainment. Our Giant Body Bits game is 12volt battery powered so an electric supply is not required. If you have any queries, questions, or would like to book our Giant Body Bits game for your event please call us on the number below or click to enquire and we will do all we can to help.